The arresting image of the grieving father of 15-year-old Ardiwan Diaa Samir, attempting to climb down into his dead son's grave at the funeral on Wednesday, was a sombre reminder of the consequences of the escalating violence in southern Sweden. 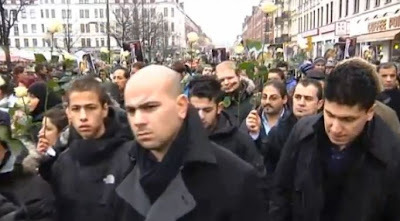 Thirty shootings in 2011 and five gun related murders in less than six weeks have shaken Malmö to its very core. But the gunning down of 15-year-old Ardiwan was the last straw for many of the locals, making them take to the streets to demand a change and to keep their children safe. “We don’t have a clue why this happened. I know my son and he was only 15 years old. He was not involved with any criminals so it was not a revenge killing to do with drugs or something else,” Ardiwan’s father Diaa Noman tells The Local just hours after burying his eldest child. “We cannot find any answers. Even the police ruled out the issues of criminality because of his age. Our family came to Sweden for the safety here but for more than a year I have felt there has not been enough security in the city,” Noman says.